Gem City Roller Girls call Orbit Fun Center home! 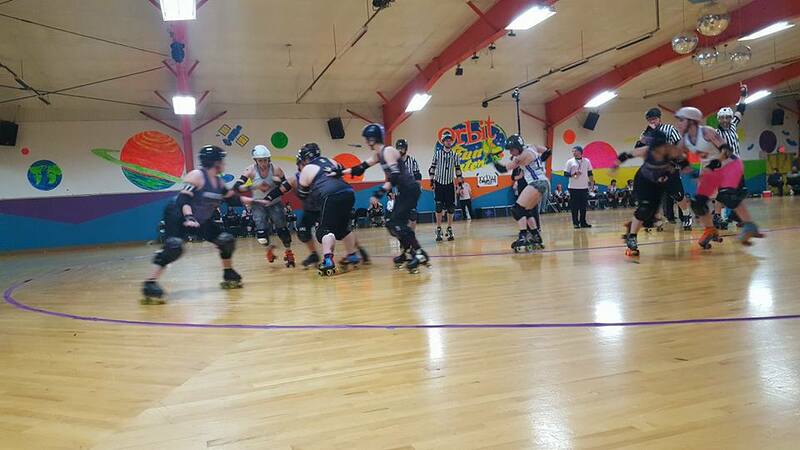 Orbit Fun Center is home for Gem City Roller Derby and Gem City Junior Gems Roller Derby teams. The Gem City Roller Derby (GCRD) is Dayton's only skater owned and operated flat track roller derby league. Our goal as GCRD is to bring attention to Flat Track Roller Derby by showing the city of Dayton a strong, competitive sport that combines athleticism and teamwork among diverse and dynamic women while providing positive role models for strength, independence, and camaraderie for girls of all ages. Visit Gem City Roller Derby's website www.gemcityrollerderby.com for additional information on becoming a member of a world ranking roller derby team!! We are the Junior Gems!!! Junior Roller Derby Boys and Girls Ages 8-17 years old. Our Parent Team is the Gem City Roller Girls that are Dayton's only skater owned Roller Derby Team founded in 2006. Members of the Gem City Roller Girls have help start and coach the Junior Gems. The Junior Gems were formed in October 2012, by Coach Punishment and Captain Racey Rocker. For more information on our Junior roller derby program please visit our facebook page Dayton Junior Gems Roller Derby or stop by the rink.